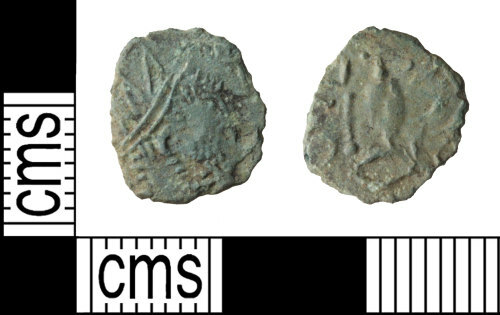 A copper-alloy Roman barbarous radiate copying uncertain ruler dating to the period AD 275-285 (Reece period 14). Uncertain reverse type and mint. Obverse description: Radiate bust right. Reverse description: A standing figure with sceptre or spear.